Just because you want to stay warm and dry on your ride doesn’t mean you can’t look good too. 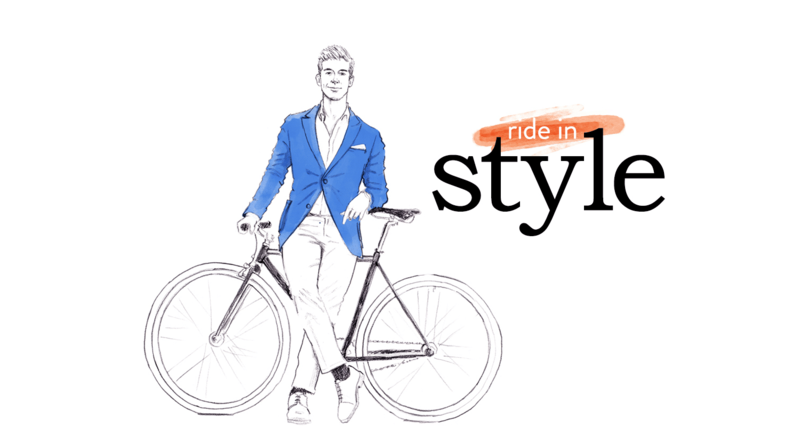 Find stylish cycling jackets for everyday life by reading our reviews and style guides below. 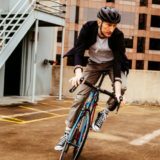 Whether you’re an urban commuter or just like riding your bike around the city, your jacket is one of the most important clothing considerations make. Regular jackets often don’t fare well when cycling as sleeves ride up your arm, the material is too short on your back and therefore exposing your rear, while warm jackets can often prove too hot when you’re cycling. 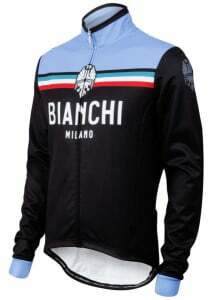 Therefore, finding a good commuter cycling jacket can help dramatical improve your comfort on rides. 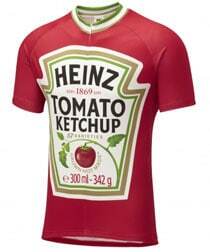 But Discerning Cyclist isn’t focussed on just functionality. 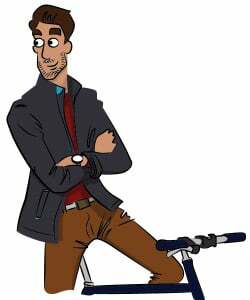 I also love clothes that look good and don’t scream: “CYCLIST!” every where you go. I focus on the sweet spot that combines practicality with style, showcasing products that you can enjoy on your ride and that look great at your destination. 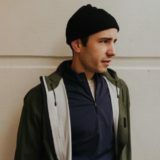 In this guide, I’ll help you find the best urban cycling jackets for stylish city commuters, looking at what features and materials you should look for in a casual cycling jacket, as well as look at the different types of gear available, such as waterproof bike jackets, breathable cycling jackets, packable jackets, hi-vis and reflective cycling jackets, as well as hardy winter cycling jackets. 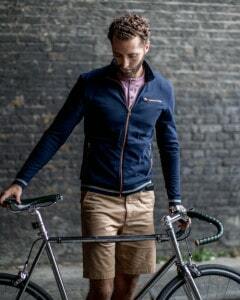 I’ll also show you some of the best urban cycling brands and places to buy stylish cycling jackets – regardless of whether you live in the UK, Europe, America or Canada. To kick start your search for the best bike jacket for your needs, I’m going to take a look at some special features and materials to look out for. 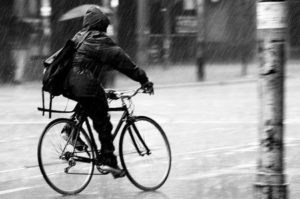 Weather is a key factor to consider when you want to buy a commuter cycling jacket. Do you want to keep the rain off? Do you want to stay warm? Do you want to be visible? Do you just want a waterproof cycling jacket you can throw in your bag in case of a surprise downpour? Or do you just want a good all-round jacket to get your through the cooler months? 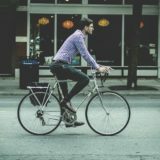 Getting a jacket that fits well for cycling is also important, as regular jackets can often ride up on the sleeves and back and provide little in the way of stretch – which is useful for cyclists. 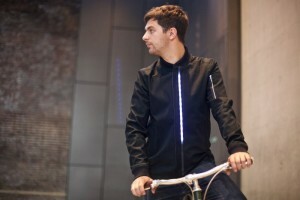 Another useful feature for cyclists is finding jackets with reflective material. 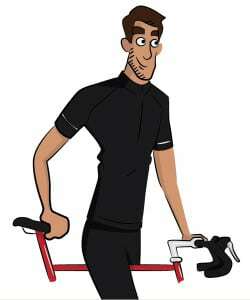 This can range from full on hi-vis cycling jackets, to more subtle reflective detailing on the jacket. Hoods are often over-looked on jackets for road cyclists as these types of cyclists often want to stay as aero-dynamic as possible, but for the everyday commuter cyclist going through a city – a hood – ideally a packable hood – is a very welcome feature and one that you’re grateful for in an unexpected downpour. The last feature I want to discuss is pockets. 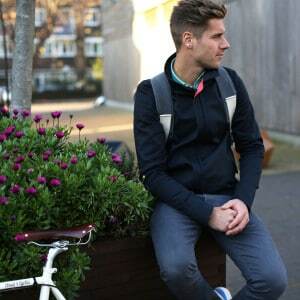 Pockets are so often overlooked when designing urban cycling jackets. 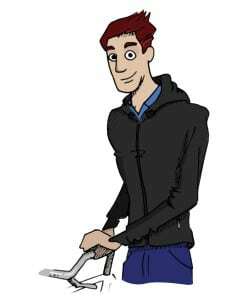 But having a good couple of hand pockets – ideally with zips – are hugely useful for commuters and something I consider integral when I’m picking out a new bike jacket. What’s the Difference Between Waterproof and Water-Resistant Jackets? 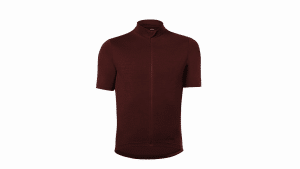 When it comes to waterproof cycling clothing (or waterproof anything for that matter) it’s important to understand that this is not a black and white feature, but instead a scale. Just because something’s water resistant doesn’t mean it’ll keep you bone dry in a heavy down pour. But there are pros and cons of waterproof cycling jackets too, as, typically, is something is waterproof – it normally isn’t breathable – meaning you may be dry on the outside but wet from sweat on the inside – an equally uncomfortable feeling. With water resistant jackets though, it’s possible that the material can also breathe more. It’s therefore important to figure out where to draw your own line on keeping water outside and staying cool inside. In particular, what do the IPX ratings actually mean? Well, the IPX ratings range from IPX0 to IPX8 and below is a breakdown of what each represents. What is IPX0? – This is not at all water resistant. Like paper. What is IPX1? – Provides minimal protection from dripping water (up to 1mm rainfall per minute). What is IPX2? – Provides minimal protection from dripping water (up to 3mm rainfall per minute) when at a 15˚ angle. What is IPX3? – Protects from spraying water (at any angle up to 60˚) of up to 0.7 litres per minute with water pressure 80-100kPa. What is IPX4? – If you want to stay dry in “normal” rain, this is what you should be aiming for. IPX4 protects from splashing water in any direction, dealing with up to 10 litres of water per minute (with water pressure of up to 80-100kPa). What is IPX5? – VERY waterproof clothing. Can deal with a storm in any direction. Tested by having water jets sprays at it for three minutes with 12.5 litres of water firing at it per minute. What is IPX6? 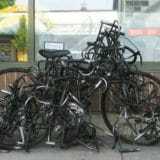 – Overkill for cycling. Can go swimming in this stuff. What is IPX7? – See above. 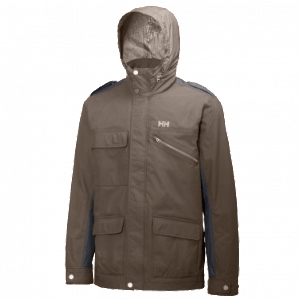 Basically, if you want to stay completely dry on the outside, IPX4 or IPX5 gear will do so. IPX2 and IPX3 is what you’d call “water resistant” with most water rolling off the surface of the material. The alternative to the IPX rating system is the Waterproof Rating (mm), which some other cycling brands use. Below is a summary of this system. Rating 0 – 1,500 – Not resistant. Fine for dry weather. Rating 1,500 – 5,000 – Light resistance and snow proof. Okay for light rain and dry snow. Rating 5,000 – 10,000 – Waterproof under light pressure and rainproof. Okay for light to moderate rain and average snow. Rating 10,000 – 15,000 – Waterproof and rainproof unless under high pressure. Okay for moderate rain and quite heavy snow. Rating 15,000 – 20,000 – Waterproof and rainproof even under high pressure. Okay for heavy rain and wet snow. Rating 15,000 – 20,000 – Monster. 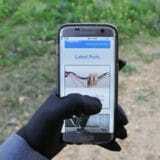 Is very waterproof and rainproof in the most extreme pressure. Okay for any weather on Planet Earth. 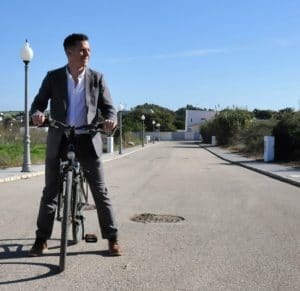 While there are some good all-round cycling jackets out there, finding the best cycling commuter jacket is more of a personal thing – depending on your needs. 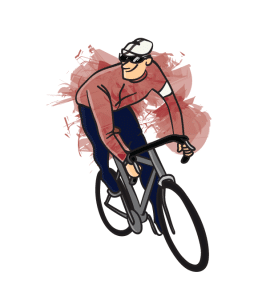 Obviously features can be combined, but generally cycling jackets go in certain directions, i.e. waterproof jackets, lightweight and packable jackets, reflective cycling jackets and cosy winter bike jackets. 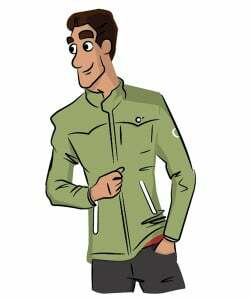 Below I’ll take a look each type of bike commuter jackets. Having a really waterproof cycling jacket is an important piece of gear to have for any cyclist who lives in wetter climes – i.e. Britain. But just because you want something to keep you dry, doesn’t mean you have to cycle around looking like you’re wearing a bin bag – or even wear a bin bag, come to that. There are loads of stylish urban cycling rain jackets out there, but you can find some of my favourites – and contenders for the best waterproof cycling jacket – by following the link below. 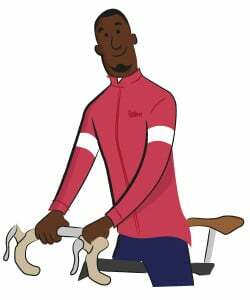 When cycling in the spring or summer, a lightweight cycling jacket can help take the slight chill out of the air in an evening and ensure you keep enjoying your rides. 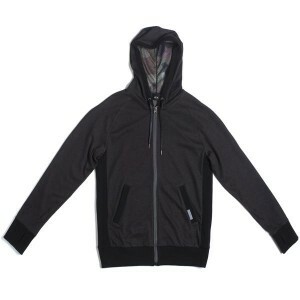 Lightweight bike jackets are normally made out of materials like, while you can obviously find jackets that also combine water resistant properties, such as the polyamide nylon, and reflective detailing, such as Resolute Bay’s LS2 jacket – which features discreet reflective pin striping across the jacket, as well as IPX5 waterproof properties and even a detachable hood. Just because something’s light doesn’t mean it’s breathable… and so it’s important to know whether you want a lightweight jacket that will simply keep you warm or a breathable cycling jacket that also helps your body breathe on your rides. The quintessential packable jacket is the Kag in a Bag, something I always associate with school trips. But packable cycling jackets have come a long way from these waterproof emergency jackets – you can get some really stylish packable jackets now that you can easily throw in a bag in case of an unexpected downpours. One of my favourite packable cycling jackets that is great for a light shower is the UNIQLO Pocketable Parker Jacket, which features a cool pattern and can easily rolled up and thrown in a bag. It’s extremely lightweight, water-resistant, looks decent and has two front zipper pockets – and all for a reasonable £24.90. If you want a waterproof packable jacket though, rather than just a water-resistant light rain number, Blacks have a number of packaway jackets for both men and women. Of course, you can really go cheap by using disposable waterproof ponchos (the kind of things you often see at festivals) and you can get these for just a few quid on Amazon, but if you do, make sure you get biodegradable ones so that they’re not still lingering on the planets hundreds of years after you used it once or twice. 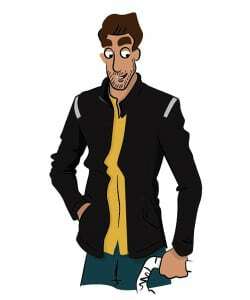 When you say reflective or hi-vis cycling jackets, people will often think of a bright yellow jacket similar to what a steward would wear. 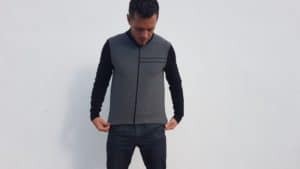 And while you can get super practical and safe hi-vis jackets like this from the likes of Proviz, there are also stylish reflective cycling jackets available, which disguise their hi-vis functionality in daylight to look like regular jackets. 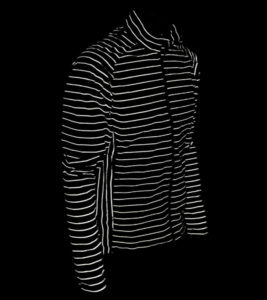 The Resolute Bay LS2 is one such example of this type of jacket, with the reflective detailing in this jacket hidden in vertical pinstripes, and they don’t become apparent until exposed to bright light – in which moment they do a fine job of making you visible. 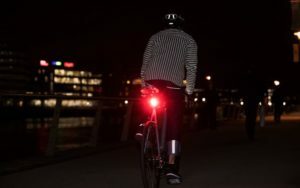 Also, as an alternative to reflective or hi-visibility cycling jackets, a few brands now create cycling jackets with lights on, meaning you’re not reliant on third-party light to be seen. 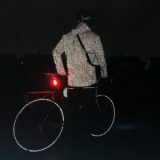 LUMO is one such brand that has stylish cycling jackets with flashing lights, although they do cost a pretty penny. If you’re exposed to freezing cold conditions in winter, then you may well need a no-nonsense winter cycling jacket for commuters, something that will keep you warm and dry whatever the weather. A thermal cycling jacket is one option, which could come in the form of a simple fleece, but a proper winter bike jacket you really want to be ready for anything. While some people prefer hardy waterproof cycling jackets, soft shell bike jackets are also popular as they are better suited to day-to-day life, while offering a basic level of water-resistance. The materials use in a softshell bike jacket are typically softer – as the name suggests – and also more breathable. Which is an important consideration to make, because although you may be keeping the rain out, you’ll likely be creating your own moisture as your body cannot breathe. Hence, apart from in extreme rain, it’s typically better to wear a softshell cycling jacket instead of a waterproof bike jacket. When it comes to road cycling jackets, many of them don’t have hoods as they look to stay as aero-dynamic as possible, but that isn’t such a high priority of urban commuters who just want to arrive dry at their destination. There are plenty of waterproof cycling jackets with hoods around, although I especially like hoods that can be zipped or buttoned away on my rides – so you’re not fighting headwinds more than you need to. 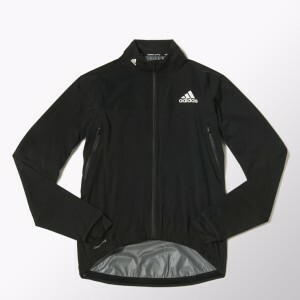 In terms of multi-functional men’s cycling jackets that look good, I have two favourites that I use on a regular basis. The first is the Resolute Bay LS2 jacket, which I’ve previously discussed. This jacket tickets a lot of boxes with lot of reflective detailing, a waterproof/resistant outer, plenty of vents to keep it breathable, as well zipped pockets and removable hood. 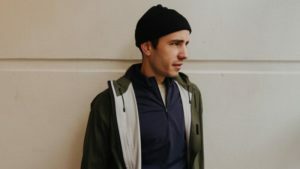 You really can’t ask for much more from a lightweight urban bike jacket – and that’s why it’s one of the very urban cycling jackets for men. My second favourite isn’t highly functional. Nor is it particularly water resistant. But it is light as anything and can be packed away into a tiny bag that it comes with. It is though, less than £25 and looks pretty chic for a packaway jacket. It is the UNIQLO Pocketable Parker and it comes with me pretty much everywhere I go – especially on those will-it-won’t-it cloudy days in spring and autumn. Women’s cycling jackets with lots of functionality and style are possibly even more plentiful than the options for men, as I discussed in our Stylish Waterproof Cycling Jackets for Men and Women post. Bike jackets for women are in no short supply, with brands like As Bold As, AGU and Craft leading the charge for stylish female cyclists. Of course, when you’re buying an urban cycling jacket online, it’s important to make sure you’re shopping appropriately for your area and won’t be stung by slow delivery, expensive delivery costs and customs charges. 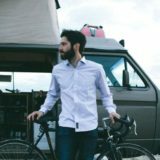 In the tables below, I’ve put together some of the best places to buy urban cycling jackets in the UK, US, Canada and Europe. Unfortunately, with great multi-functional products also comes great price tags. But that doesn’t mean there aren’t affordable and even cheap urban cycling jackets out there that pack in some useful functionality. 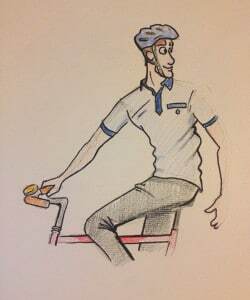 With stylish cycling clothes in general, I always recommend checking out UNIQLO if you’re on a budget. Although not built specifically for cycling, lots of the UNIQLO range features breathable and stretchy material, but for a very reasonable price. The UNIQLO packable jacket is one of my favourite items and I have it in my bag (or on back) nearly all the time. At just £24.90 it’s one of the best cheap rain jackets for cycling (that actually looks good) you can find. Another cheap place for cycling clothes is Decathlon. 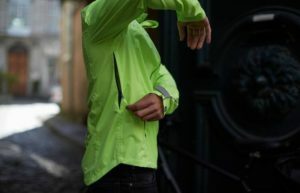 In particular, if you’re after something a cheap hi-vis cycling jacket, the B’TWIN 500 Hi Vis Waterproof Urban Cycling Jacket is an absolute warrior (although not the prettiest) and costs just £34.99. 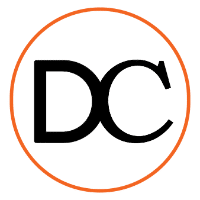 With Discerning Cyclist I’m always reviewing urban commuter cycling jackets, and you can read some of them below to get a more in-depth view of these products.